NEUTROGENA® ULTRA SHEER® Dry-Touch Sunscreen is our best-selling Ultra Sheer® line, that provides effective sun protection you will love to wear. 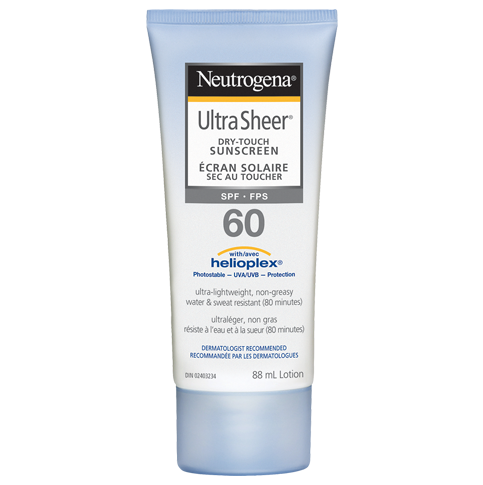 Formulated with HELIOPLEX®, it provides effective broad spectrum protection from aging UVA and burning UVB rays combined with Dry-Touch technology to provide an ultra-light, non-shiny finish. This lightweight formula absorbs quickly and has a light, fresh scent. Medicinal Ingredients: Homosalate (8%), Octisalate (5%), Octocrylene (4%), Oxybenzone (4%), Avobenzone (3%). I used this product for 3 days and started noticing my face was flaky around my mouth, eyes, and forehead. It became red and inflamed and stung for hours after I put it on. Since it was the first time using it, I decided to get through it but I will no longer be using this on my face and it's quite expensive so that's too bad. I read reviews about this particular sunscreen being a good moisturizer and it was the complete opposite for me. Will definitely not purchase this again. Thank you for taking the time to share your review with us! We're so sorry to hear you had this experience with our Ultra Sheer Dry-Touch Lotion. We'd like to learn more and see how we can help. Please give us a call at 1-888-663-8876, Monday-Friday from 9a-5:30p ET. We're looking forward to your call! 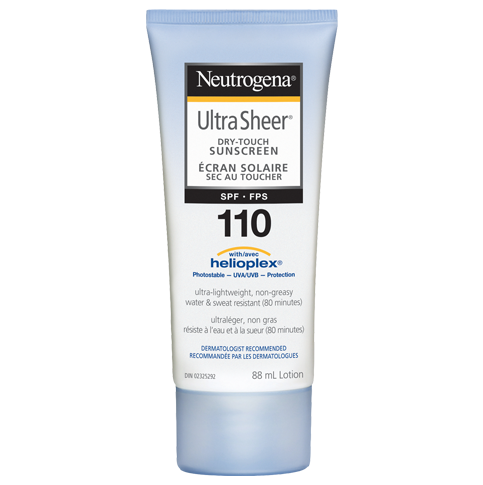 Have been using 110 SPF for years when out on motorcycle. Face and arms have never burned, though does allow a slight tan. Been Asthmatic all my life and this product as never given me any problems. I apply it 30-45 minutes before going on a ride and again six hours later. I love this product for so many reasons. 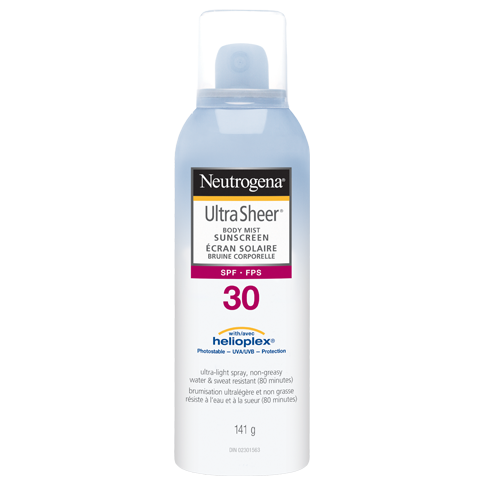 Firstly my MD strictly recommended Neutrogena as the number #1 sunscreen for my entire family to use. Secondly it lasts really long, thirdly I hate greasy feeling sunscreen and this feels so good on the skin. I use this on my body. Haven't used on my face as there is another product from the same brand that works for skin with acne. I use the SPF 60 one. I like how it feels on my skin. This worked well for my skin, it did not break me out. Has a non-greasy, pretty light formulation. Would be nice if SPF was a little higher though. If you have Asthma or sensitivity to scents, avoid this product. My wife put this product on before she went out and I ended up in asthma distress. We threw it out immediately after she washed it off. We're so sorry to hear this! We take matters like this very seriously and we'd like to speak with you to learn more about your wife's experience. Please give us a call at 1-888-663-8876. We're available Monday through Friday, 9am to 5:30pm ET. We look forward to speaking with you. This product is not grease. I loved the texture. Some people mentioned skin reaction above but my skin is normally not that sensitive. It worked great for me. I am giving 4 because the price is little high compared to other product. I wanted to give this product 4 stars as it was not greasy at all. However, I had to give it 2 stars because of my skin reaction after using it. My face turned red and itchy the night after using it during the day, and it my face was burning and my skin started peeling off. I think I am just allergic to any of the ingredients. Thanks for leaving your review! We wouldn't expect this at all, so we'd like to learn more and help make things right for you. Please give us a call at 1-888-663-8876 from 9AM - 5:30PM ET, Monday through Friday. Hope to hear from you soon!